Tow Truck Insurance Michigan — Better Rates Are One Call or Click Away! If you’re looking for better rates on Tow Truck Insurance in Michigan — 800-998-0662 is the only number you need — no matter if you are a new startup operation or well-established towing service company with years of experience. Pathway offers great rates on Tow Truck Insurance in Michigan, Ohio, Indiana, Minnesota, Maryland, Kentucky, Tennessee, Texas, Georgia, and Florida seven days per week. Licensed agents are available by telephone until 5:30 PM Eastern Standard Time in Michigan when you call 800-998-0662 or you can use our chat system to speak with a license agent seven days per week. Simply click chat on the bottom right side of our website. Because we specialize in Tow Truck Insurance in Michigan it’s important to work with an agency that not only has access to the most competitive Michigan Tow Truck Insurance Companies but one that provides good advice to help you keep your rates low. 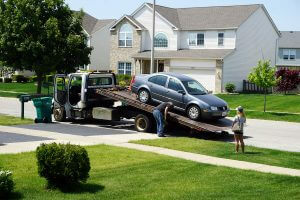 We would like to share some methods that you should avoid as a tow truck company owner. Some of these methods may seem like common sense others may not be readily evident. Tow Truck Insurance Michigan — Hiring Bad Drivers. Okay let’s talk about the first step — if you hire a careless or bad driver it is going to cost you a lot of money. Insurance companies are in business just like you are — to make money! When you cost them money or you have a number of small claims they will reciprocate by either canceling your insurance or hitting you with a significant rate increase. Make no mistake every company will hit you with a rate increase or cancellation if you cost them money. It does not matter how long you have been with the company— you may have loyally stuck with your insurance company for 20 years or longer and they will turn around and treat you like an ugly stepchild when you cost them money. Example: one tow company had a 3 claims within 3 years, 2 were not their fault and one was — their insurance company rewarded them with a 300% increase in premiums! They went from $25,000 per year up to $80,000 per year because of a few claims! Yikes! Why do companies hit you so hard when your drivers cause accidents? Tow trucks can do a lot of damage when they make impact with other people, vehicles, or buildings including serious injury or fatalities. The bigger the truck the more harm can be inflicted — insurance companies understand this all too well since they will be the ones hiring attorneys to defend against lawsuits caused by their customers. Tow Truck Insurance Michigan — Open up a Sham Company to Get Cheap Rates. This little trick worked years ago when tow truck drivers would be canceled by one company because of too many claims and then open up a ‘new tow truck company’ in a relatives name and act as if they are a new business — when in reality they were only doing it to get cheap rate on their Michigan Tow Truck Insurance. Insurance company’s now have reporting tools that can catch sham companies leaving you as the owner in hot water with the insurance company and possibly blacklisted for life! Insurance companies have long memories now — if you get caught trying to pull a fast one on an insurance company they may put you on a do not ever insure list. A number of insurance companies have discontinued offering tow truck insurance because they have lost their shirts financially. If you alienate one too many Michigan Tow Truck Insurance Companies you may jeopardize your ability to even get insurance. Is it worth it to take a chance and poor fast one on your insurance company? Not in our opinion. If you are getting canceled because of claims take your medicine like a man! Pay the higher premiums and don’t set up sham companies. In our next article we will consider the other two methods you definitely want to avoid. Michigan Tow Truck Insurance — Low Rates and Great Coverage! Pathway is the best place to call for Michigan Tow Truck Insurance. As a leading independent insurance agency we have access to the top companies offering this line of business for garages, car dealerships and tow only service companies, including repo.